Re: Variation to Planning Permit PA 28A/88 (Boarding, Rearing and Breeding of Dogs) to increase the number of dogs permitted to be kept on site from 25 to 40. I wish to strongly object to this permit application on the following grounds. 1) Negative environmental disruption and waste pollution associated with the intensive farming of puppies. This proposal negatively impacts upon me as currently thousands of healthy, but homeless dogs are killed in Council run pounds every year. My tax dollars are currently footing the bill to operate these pounds that kill these defenceless and unwanted dogs every year. I sincerely ask you not to grant this permit to breed more dogs as this will only contribute to the killing. 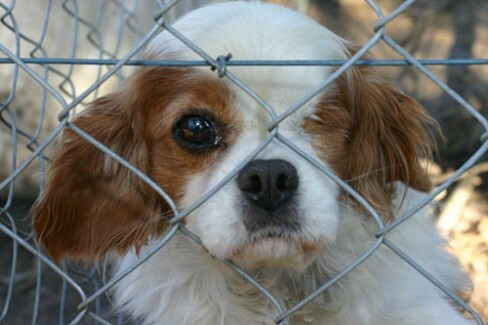 I do not want my tax dollars propping up a system where I know thousands of healthy companion animals will be killed. 1) Environment Degradation: Soil erosion is one of the biggest problems on dog factory farms. When dogs are continually confined into small runs, soil erosion and resulting dust and debris are of real concern and cause major problems in regard to animal welfare such as eye infections. Close confinement of dogs in sheds and small runs also increases the burden of parasites and assists the transmission of contagious disease such as parvovirus which studies have shown remains in the soil for many years. The problems caused by the perpetual barking of dogs has been known to exist at distances as far as 500 metres from the actual source. 3) Cruelty: Puppy farms are cruel, by their very nature they do not meet the needs of dogs who are intelligent social animals who require room to play and explore. The parent dogs suffer horribly. Continual confinement and pregnancy cause severe psychological damage to these companion animals who often display repetitive behaviours and constant barking and howling through loneliness, boredom and lack of environmental stimulation. The male dogs whole life is confinement in a small pen ’servicing’ the females. It’s exposed in the media more and more about the dreadful lives these dogs live in appalling conditions. I appeal to you not to grant this permit application. Thank you very much for any consideration to this objection on behalf of these innocent animals. Please dont kill them ! Help them! PLease STOP THIS!! STOP THIS NOW! This is a disgraceful commercial practice and should be stopped by government now…regulate it and lock up those who flout the law for personal gain.